Giugni has executed a wide variety of faux finishes as design projects, creating finishes ranging from faux wood to marble and bronze. 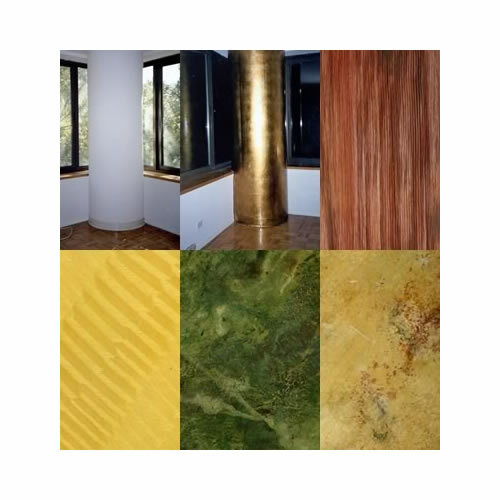 As demonstrated by the images of the column, to the right, the thinnest veneer of paint or metal leaf has the ability to drastically alter the look and weight of an object. It is this transformation of an object, which fuels the Artist’s exploration of new surfaces for interpretation.